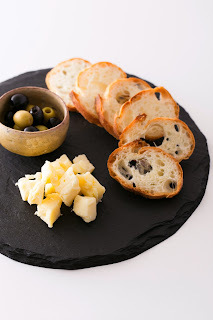 This heirloom black plate is made of the Japanese suzuri inkstone called 'Gensho Stone' from Miyagi prefecture, Northern Japan. This beautiful Japanese plate has a natural sheen and deep black color that enhances the color of the food placed on it. It has a matt texture and the uneven surface of the natural stone adds to its aesthetic appeal. 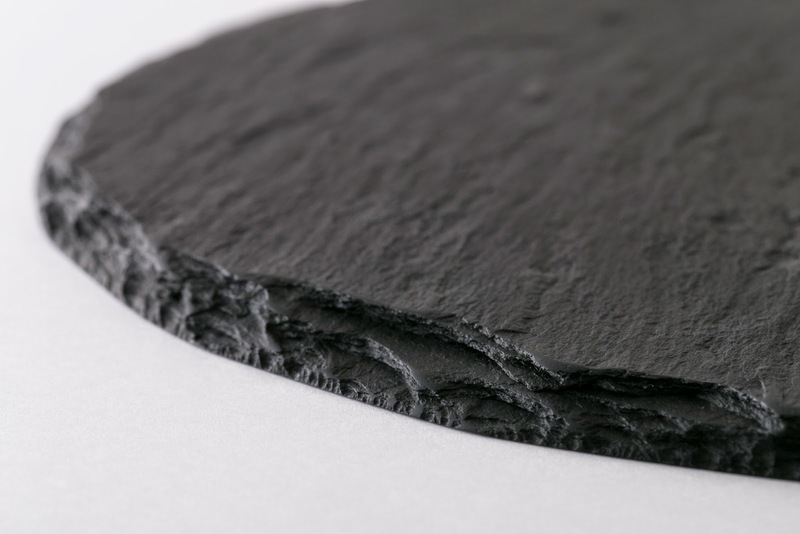 The suzuri inkstone slate is rare and was formed hundreds million years ago. In the 14th century, the daimyo (Japanese Lord) of the area, Masamune Date was deeply impressed with its beauty and manufacturing technique and so encouraged the industry by hiring talented craftsman and restricting the amount of stone that could be mined from the mountain. Since then, it has been commonly used in Japan as a inkstone for day-to-day writing. The industry prospered but the area was severely damaged by the tsunami in 2011. This products are made by the few survivors of the area. The sales contribute to its recovery.